I just thought I'd share some recent purchases with you all, and also pick your collective brains a bit about them. 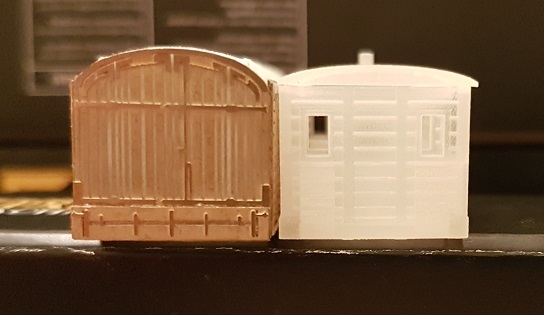 With the current Shapeways 'drama' going on I bought a few items. Two of which were LNWR stock, a goods van and a brake van. 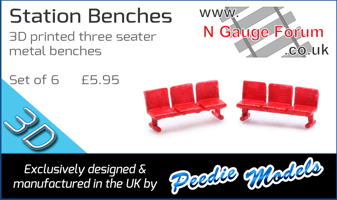 These were listed as 'Scratch aids', which I appreciate and if they don't work as rolling stock I will probably 'plant' them in a farmers field or in a corner of the goods yard. My other wagon purchase is an LMS 6-wheel slatted milk van. I plan to fit this onto a Stove-R chassis, some filing on the print interior and the chassis weight will be necessary, but it'll work. Would I be correct in assuming these would have been grey in body colour? 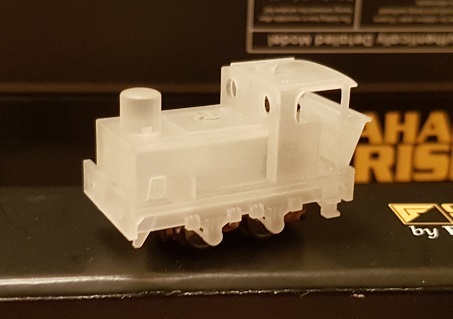 Last but by no means least, a 100HP pre-war Sentinel shunter. This little fella is designed to plonk straight onto a TU-7T chassis, which it does, perfectly. I'm aware that the chassis needs a resistor fitted, but I'll deal with that another time. What/where were this little units used for? I haven't got the foggiest idea, and I'm struggling to find any info on them, all information gratefully received.